Most of us SEOs have had felt (rather strongly) for a while now that Google+ was going to be big news. Google is serious about pushing their social network and taking on Facebook it seems, but they’re also serious about taking more organic cues from visitors, in order to rank content and decide what their users see. With Google known to combine its services in the past, it only makes sense that they this new social network would play an important role within their push toward social search and that the connection would potentially improve both services in the process. In his upcoming book ‘The New Digital Age’, Google’s executive chairman Eric Schmidt seems to confirm this. In one quote (from WJS) he explains that search results will give extra weight, and rank higher, content that is tied to ‘verified’ online profiles, and that users are likely to naturally gravitate toward those links. ‘The true cost of remaining anonymous then’, he suggests ‘might be irrelevance’. You heard the man then – it’s time to get involved if you haven’t already and before you get left behind. Here’s how to do it. 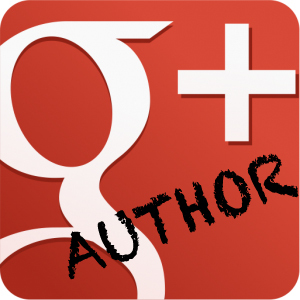 Setting up Google+ authorship is the next step in having a ‘verified’ listing as Schmidt describes. This means you will be able to claim authorship of the content you write, and when your content comes up in the SERPs, it will be accompanied by your profile picture and a link to your Google+ page. This will help your link to stand out among the competition, help you to gain the trust of your readers and help them to find more of your articles/follow you through the social network. It’s also safe to say that Google will reward those sites that play ball by getting involved, so it really doesn’t make any sense not to. 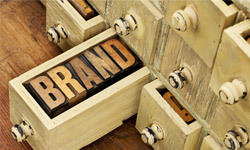 Time to start building your online brand! In fact, many believe that Google plus is really a version of ‘agent rank’, a patent Google filed back in 2005, and has edited several times since then (including in 2009, and twice in 2011). If this is indeed true (quite likely considering Mr. Schmidt’s recent remarks), then Google plus is set to become a vital resource for anyone that cares about their website’s organic Google ranking. You can find detailed instructions on how to get this working, but the basics are simple. Assuming you’ve already added your site to your Google Plus page, link to this page with every piece of content you produce. There are various ways in which to do this, however we find the easiest way is to link from the content you produce, to your Google Plus author profile, using the following code: Your Name This name should of course be the same as your Google+ name. Next, add the website you have posted to in your Google Plus account as a site you contribute to (click ‘edit profile’ and scroll down to ’contributor to’). Once you’ve set everything up it will take a while for you to see the results in Google – usually between a few days, to a few weeks. This means you’ll need to find other ways to check it’s working and fortunately you can do this using the Rich Snippets tool at: http://www.google.com/webmasters/tools/richsnippets It should say verified and include your author name and links to your profile. The recent death of EMDs (Exact Match Domains – Domains matching an exact keyphrase) demonstrated how serious Google is about building trusted brands online (and lowering what it deems to be spammier results). Google+ is just one more example of this, so if you want to stay ahead of the game you need to be building your brand and your authority. One way to do this is with your guest posts. Rather than just including a link back to your site, make sure Google knows you’re the author (use a ?rel=author link, as described above) and add the page to your contributor list on your profile. If those sites are high authority and well regarded by viewers and by Google, then this will only help to boost the profile of your own pages. Oh and be active on Google+ itself – posting comments and sharing links are ways to network and to raise awareness, and if you’re entertaining and chatty (whilst still being professional) you’ll ensure more people want to stay in your circles. And actually you might just find it’s quite enjoyable being an active part of the Google+ community. Welcome to the world of Google+! Mike Gracia is a professional digital and content marketing consultant, and is director of strategy at UK based digital marketing agency, Thinkable Digital. 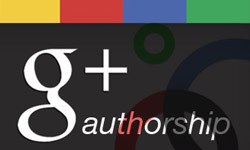 I was completely unaware of Google+ Authorship program. Does it have any restrictions as to what businesses are allowed to participate? As of now, there isn’t any restrictions. I know a few people are contributors to over a 100 blogs and publications!